My full tutorial is for a darling little patriotic project (Look at me! Getting jump on Memorial Day and Fourth of July already!!) made from the trendy paper drinking straws you see everywhere. At the end of the tutorial are the links for everyone else projects! 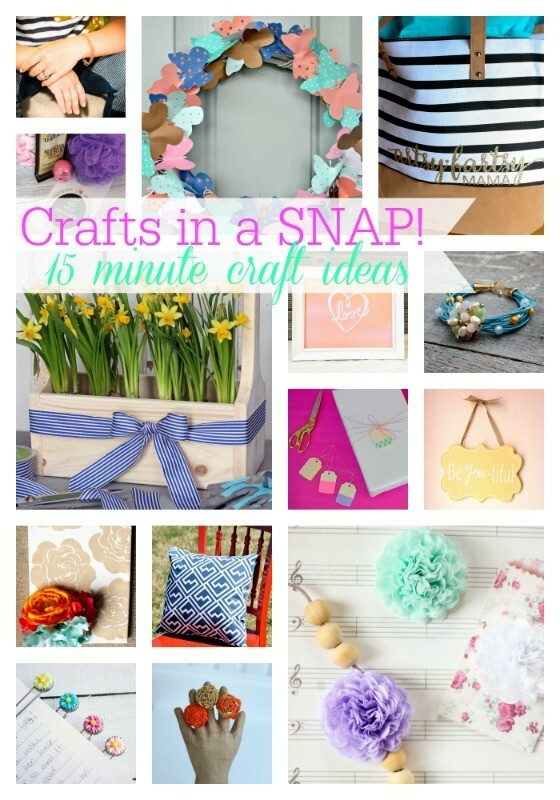 Click around and check out all the quick and easy craft ideas from these fabulous bloggers! 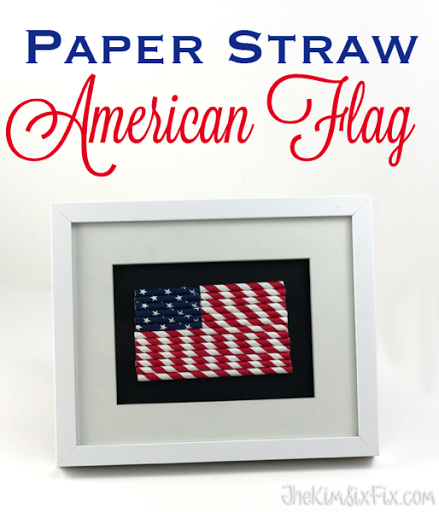 To create the flag I cut down the straws to fit inside the opening in my frame mat. I am not sharing the exact measurements of my project because the finished size of the flag depends on the opening size of the mat. Basically you can eyeball it. Next glue down the straws with a glue stick. Be careful of the rotation of the straws since secondary patterns will appear. I double checked the size of the mat and made sure the flag fit.. which it did. The problem is that the straws are so thick you can’t just stick it back in the frame. You need to figure out who to float the mat in front of the yardstick. To achieve this I just glued a row of extra straws around the outside of the yardstick (make sure they will be completely covered by the photo mat. Wasn't that super simple? Definitely less than 15 minutes! And here are some additional project ideas that will take you next to no time!